Press Statement on National Matters by the ZICA President Mr. Jason Kazilimani Jr. Welcome to the ZICA 2018 fourth quarter media briefing to discuss matters that affect the accountancy profession and the nation at large. This is our last briefing in the year 2018. I am sure that by now, you are all aware, apart from our mandate of regulating the education and practice of the accountancy profession in Zambia, we have a statutory mandate to advise the Government of Zambia on matters relating to the economic development of the Country. From the time we had our last quarterly briefing in September this year, we observed a number of issues that deserve our reflection and comment. In our previous quarterly briefings, we have consistently raised matters relating to the appointment of the Auditor General, the operationalisation of the Public Audit Act, 2016 and the State Audit Commission Act, 2016. We have noted that these matters have remained unattended to. As a professional accountancy body, we are concerned with the situation because the Auditor General’s office is a very important governance institution, which should not be left unoccupied for such a long time. The qualifications of the incumbent Auditor General should be as appropriately stipulated in the Public Audit Act of 2016. We are aware that the Public Audit Act has not been operationalized and therefore a substantive Auditor General has not yet been appointed. We have noted, through the public media that the appointment or confirmation of the acting Auditor General will have to wait until the current Republican Constitution is amended. We however note a precedent for a similar situation. When the office of the Clerk of the National Assembly fell vacant, the Clerk was appointed, whilst the Parliamentary Service Commission had not yet been operationalized. Because of the importance associated with the Office of Auditor General, we believe that the same can, and should be done. We appeal to the authorities to proceed and appoint a substantive Auditor General as a matter of urgency. 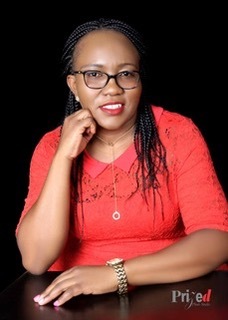 In the 2019 budget speech to Parliament, the Minister of Finance announced a proposed overhaul of the Value Added Tax system and its replacement with the Sales Tax System. The measure came as a surprise to many economic players as such a huge fiscal shift requires wide consultation and adequate preparation for both the taxpayer and administrators alike. The Minister contended that the measure aimed at enhancing domestic revenue mobilisation, improving revenue contribution to the Treasury and minimising revenue leakages. On 1st July 1995, Zambia introduced Value Added Tax to replace Sales Tax. Like VAT, Sales Tax is a consumption tax imposed on the sale of goods and services levied at the point of purchase from the consumer. Unlike VAT, which is deductible by the seller of goods and services, Sales Tax is non-refundable. It is an example of an ad valorem tax and is based on the price of the item sold. ZICA recognizes that there are challenges in the administration and collection of VAT that need to be addressed. With concerted effort, we believe these are surmountable challenges, which should have given pose to the decision to abolish the VAT system. Specifically, the huge VAT refunds accruing to the mines is contributing to the liquidity challenges of the mining companies as they partly rely on the money being withheld by the Government for their operations. However, the question is whether the proposed sales tax system is the right remedy to the perceived revenue leakage. As we consider the introduction of sales tax, it is important to take stock of how the system will be implemented with minimal interruption to business and the economy. Currently, there is lack of information about how it will be implemented, and at what rate, thus leading to investor anxiety and uncertainty in corporate planning, budgeting and forecasting. There are fears that most businesses, especially the mines may react by scaling down their operations. The lack of certainty in the Sales Tax system negates the fundamental principle of a good tax system. We think that in the absence of further consultation and thorough research, the proposed system should not be rushed but instead the Minister must carefully study the rates to be applied, the period of transition and the framework for the Sales Tax system. It is also important to ensure that there is a support structure and well-planned administrative system in place before the Sales Tax system is introduced. It is thus our considered view that abolishing the VAT system without a proper system to administer the proposed Sales Tax regime, coupled with adequate information for all stakeholders, may not be appropriate. However, the Minister should instead have addressed the causes of underperformance and review the various provisions in the VAT exemption order. The move to Sales Tax may not be wholly appropriate given that most jurisdictions globally are on the VAT system and many others are considering migrating to it, due to its various benefits. According to the Organisation for Economic Co-operation and Development (OECD), 166 countries in the World operated VAT as at 2016. More recently, other jurisdictions have migrated to VAT system including Tanzania (2015), Egypt (2016), and India (2017). Further, more countries from the member states of the Middle East Gulf Cooperation Council are at different stages of introducing VAT. However, in the event that Parliament approved this measure, it will be desirous to have a reasonably low rate and appropriate exemptions for strategic industries. During the 2019 budget address to Parliament, the Minister of Finance also announced that Government’s external debt stock, as at end-June 2018 was US$9.4 billion, representing 34.7 percent of GDP from US$8.7 billion as at December 2017. Further, it was reported that the stock of domestic debt in the form of Government securities amounted to K51.9 billion, as at end of June 2018 representing 19.2 percent of GDP, compared to K48.4 billion as at end-December 2017. Domestic arrears amounted to K13.9 billion by end of March 2018 from K12.7 billion as at end of December 2017. While we appreciate that debt is an important source of finance for development and is key for poverty eradication as well as improvement in infrastructure, it needs to be prudently managed. In the last eight years, we have seen the rapid accumulation of debt, which has put the country in the spotlight resulting in Zambia being classified as ‘at high risk of debt distress’ by the World Bank and IMF. If not properly managed the debt burden will constrain economic progress. It is important that as the country builds-up debt, there should also be equivalent increase in the productive assets of the economy to assist in repayment of interest obligations. In this regard, we welcome the Minister’s announcement that Government is in the process of instituting Public Investment Management Reforms to establish a comprehensive system for the appraisal of projects in order to ensure value for money. We hope that the new approach, will closely link investment and responsible borrowing. We want to see growth in the carrying value of the Sinking Fund, which was established to facilitate repayment of the Eurobonds. As ZICA, we are alive to the fact that social protection is a key component of the social and economic landscape of any given country especially in the third world economies, as this involves the protection of our poor and other vulnerable members of society. In Zambia, this covers the disabled, child and women headed households as well as the elderly. We would like to applaud the Government for having paid particular attention to this particular social sector. We are aware that the Government has over the years scaled up the social protection and in particular the social cash transfer funds from five (5) districts in 2003 to almost every district in the country to date. To demonstrate its commitment to the said members of our society who are socially and economically weak, the Government has increased its allocation from K736, 994,165.00 in the 2017 budget to K980, 872,185.00 in the 2018 budget. However, we are concerned with the continued poor delivery of the programme as indicated in the recent Auditor General’s report. We would like to advise the Government that the social cash transfer programme would only attain the social and economic objectives of alleviating poverty especially in the rural areas if the mechanisms employed to redistribute the income were those that encouraged efficiency, effectiveness, transparency, integrity and accountability. As ZICA, we further urge the Government to engage all the key stakeholders in order to devise social cash transfer distribution methods that will ensure that the resources reach the intended beneficiaries without any financial leakages in the process. Government will do well on this score to introduce a standard delivery or implementation manual of all similar social protection programmes. In addition, it must devise methods of measuring the performance of the programme in meeting the intended objectives. We noted with concern the lapses or failure of Corporate Governance in some State Owned Enterprises. This has tended to create serious agency problems where managers as agents have pursued short-term interests at the expense of the Public long-term best interest. In many instances, some public entities have operated without Boards in place for many years, which has led to serious Governance failures and breakdown in risk management and control environment in these public entities. The Board of Directors of the water utilities companies were only appointed in November 2018 after a long time of operating without corporate boards. In the eyes of the law, there shall always be a functional Board of Directors at all state owned enterprises every time. Whenever government dissolves a board of directors, another board should be appointed to replace it. We have noted, for instance, that at least 11 Water Utility Companies operated without Boards for a long time. Some statutory boards are operating without boards of directors. This raises the question of who supervises Management and protects the public interest in such institutions. Good corporate governance protects public interest and promotes responsibility, transparency, accountability and good financial stewardship. We therefore call upon the appointing authorities to ensure that all public companies operate with fully constituted and competent independent Boards of Directors. 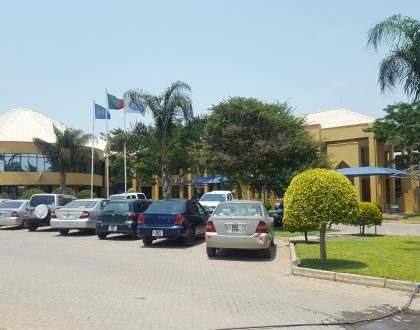 During the last quarter of the year, the Government of the Republic of Zambia through the Civil Service Commission dismissed twelve (12) accounting and one (1) operations staff who were involved in misappropriation of public funds as spelled out in the Public Financial Management Act, 2018. We noted an increase in the misuse and misapplication of public funds perpetrated by individuals. Public sector accountants have received some bashing in the recent past for good reasons. The members of the public are right to complain and make demands for accountability, which is in line with our professional calling as accountants. 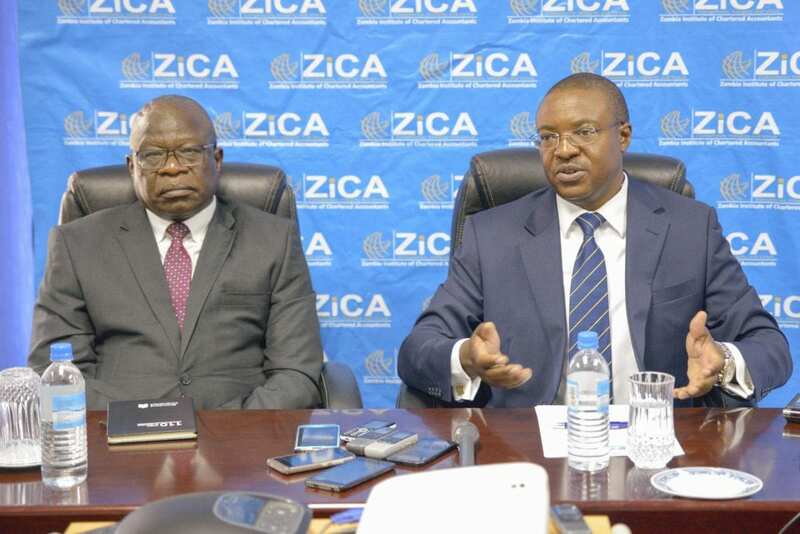 The focus of ZICA in all its dealings is the protection of public interest and as a professional body, it is only right that the members account for their misdeeds. Let me put things in context. The public sector has the largest concentration of accountants in the country. You cannot imagine how the government could operate without accountants. It is important to appreciate the strategic role accountants play in the financial stewardship of the country and therefore require the support of the public. While we appreciate the difficult task the public sector accountants play under difficult circumstances, as a professional body, we expect the public sector accountants to work in accordance with the international code of ethics for professional accountants. It is therefore important to isolate and condemn the rogue accountants and not the entire profession. While we welcome the dismissal of the accountants emanating from these scandals, we think that more needs to be done including recovery of the stolen funds as provided for in the Public Finance Management Act of 2018. There is need for the controlling officers to create a control environment that should send an early warning signal to detect any variation from expected behavior. Further, unless there are serious questions of competence, we do not believe that these accountants misappropriated the funds without the knowledge of their superiors. We have observed a rising trend in which some employers are employing unregistered Accountants thereby abrogating the law. The law is clear that no one who is not in good standing with the provisions of Section 2 of the Accountants Act of 2008 is allowed to practice or be employed as an Accountant. Under the Accountants Act, it is unlawful for any private sector or public sector organisation including donor agencies, multilateral development organisations, NGOs or Government departments to employ accountants not in good standing with the Act. We therefore urge all employers to comply with the Accountants Act and employ only Accountants in good standing. We also wish to appeal to all individuals who are working as accounting personnel or studying for an accountancy qualification to register with the Institute and uphold professional ethics as enshrined in the Code of Ethics for Professional Accountants, which were adopted by ZICA for its members in Zambia. Let me take this opportunity on behalf of the ZICA Council, Management and Staff to wish our stakeholders a Merry Christmas and a Prosperous 2019.